Rok prijave: 12. 05. 2019. 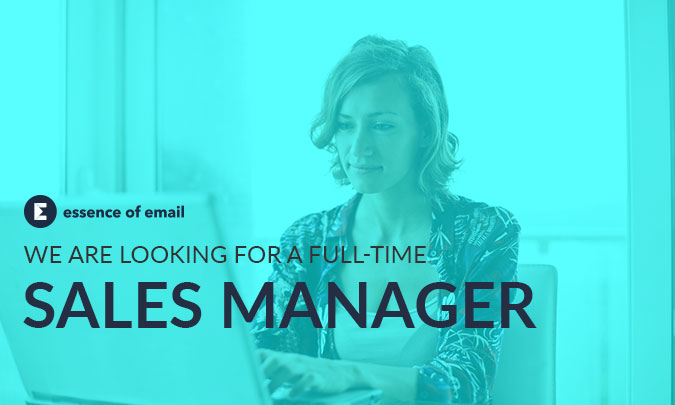 Essence of Email team is looking for a candidate to fill the position of Sales Manager. Sales Manager is responsible for leading and directing the team of Sales Associates in order to hit sales and company targets. You will be working remotely as a contractor to the Essence of Email company. Working hours: Monday to Friday, 13:00 — 21:00 CET. Create and manage sales, revenue, and expenses reports while providing the CEO and COO with realistic forecasts. Experience in digital marketing (email marketing) is a plus. Our team is on the same page – we do excellent work because performance matters, but we give each other a helper’s hand and the opportunity to grow and develop. Apply by sending us an intro email with your CV attached!